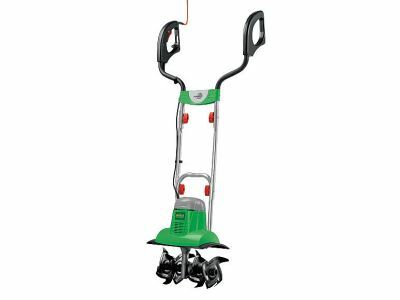 Lidl are running a ‘Garden Jobs‘ special in store from the 26th of March 2015 and one of the products they will be offering is a Florabest garden cultivator. This looks like it is a basic electric tiller/cultivator with just a 710 Watt motor. As is usual with Lidl offers the price looks very keen. The nearest alternative I could find is a 700 Watt Qualcast electric rotavator being sold by Homebase and Argos. Alternatively there is a 800 Watt electric tiller, the Handy THET-A, which has a slightly deeper tilling depth than the Florabest cultivator. The Handy THET-A is being sold online by both Screwfix and Tooled-Up.